It's a common sight in offices, sadly, and maybe you've seen it yourself. Perhaps you've walked past a multifunction printer or a copier and cringed as you notice a confidential document in the tray—pay stubs, personnel files, patient or client information—out in the open for anyone to see. It's during situations like these that you realize that security problems don't only arise from outside attack, but also from internal mistakes. Don't let these mistakes make your business insecure. 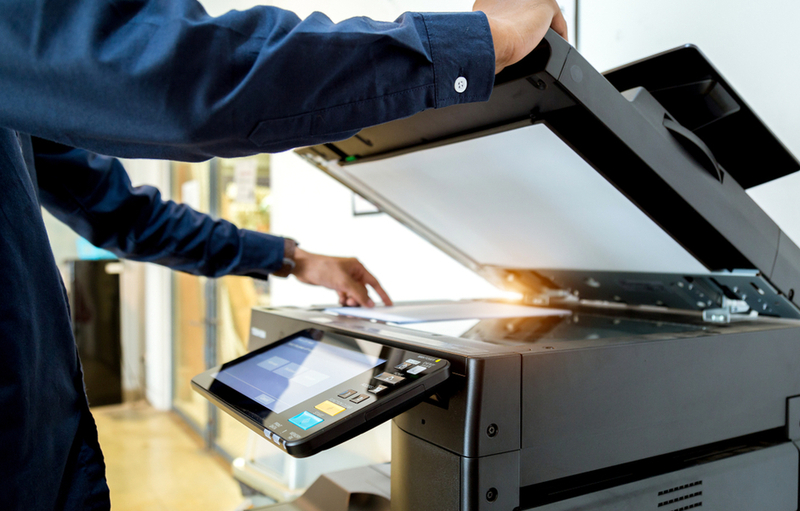 There's an easy way to make your printing policies up to the task of securing your company information. There's a name for the kind of printing that keeps this sort of data insecurity from happening: pull printing. Even if you've never heard this phrase before, you've probably seen pull printing before. It's printing that remains secure until the individual who sent the document to the printer arrives and pulls it from the tray. This works in a few different ways, depending on what kind of programs and software you use. PIN numbers: This kind of pull printing assigns pin numbers to staff members that they must input at a device before printing. Cards: Some printer security systems allow for designated cards to printing use. Biometrics: A super secure but easy-to-use measure could be something as simple as a fingerprint. It may seem like a hassle to introduce this kind of security to your print environment, particularly because printing is a bit slower this way. However, this kind of slow-down is acceptable when you consider the alternative of data insecurity; it's worth a little inconvenience. Consider implementing pull printing in your business, and contact us for more information about keeping your company secure.